When I first start up my business, which is a sole proprietorship, do I actually put my vehicle on the books as a fixed asset? Would I use the fair market value of the vehicle? At this point I do not know the percentage of personal or business use. I know I will need to log my kilometers in a automobile log. When paying the expenses for the vehicle, do I pay them 100% through the business? At yearend, when the accountant does the tax return, will he do an adjusting entry for the depreciation of the vehicle and the personal use of the vehicle expenses? What about the HST, do I claim the total HST input tax credit and how will this be adjusted to reflect the proper percentage for the business useage of the vehicle. I'm going to give you some links to articles to read in this post while I try to answer your questions. After you've read the pages, if you still have questions, post back on what you need clarified. (1) Yes, you bring your vehicle into your business at FMV. You need to get this value in a logical way that is unbiased (third party)... and document how you arrived at the value ... just in case you need to justify it to CRA in an audit. your deduction ... again in the event you are ever audited. (3) You have a choice on how to track your vehicle expenses. You can track them in your books at 100% and adjust them for your personal use (owner's draw) monthly or annually ... or you can just record the entry at year-end. Consider the dollar value of ITCs involved to help you decide which is best for your business. 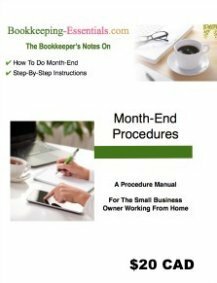 (4) If you hired your accountant to do a year-end and financial statement presentation, then s/he will make the adjusting entries required for depreciation. 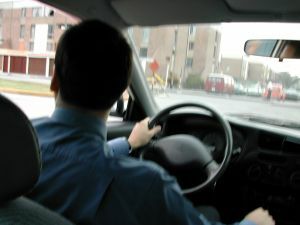 How the personal portion of vehicle expenses is handled will depend on what you decided to do in (3) above. 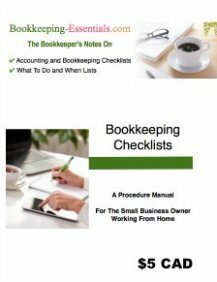 If you only hired your accountant to do your tax return, chances are s/he will not make any adjusting entries to your bookkeeping records. (5) There are special and specific rules for HST ITCs relating to your personal vehicle. Take time to learn what they are as CRA audits this area frequently. Another forum post made by a visitor may interest. You'll find it at Motor Vehicle Expenses.